Imagine fleeing your home in Syria to seek a safer place in Lebanon, only to find yourself having to flee from danger once again! This month marks the 8th anniversary of the Syrian crisis, and for many refugees who have lost their homes, life is one difficult struggle after another. The fire started around 4:00 a.m. 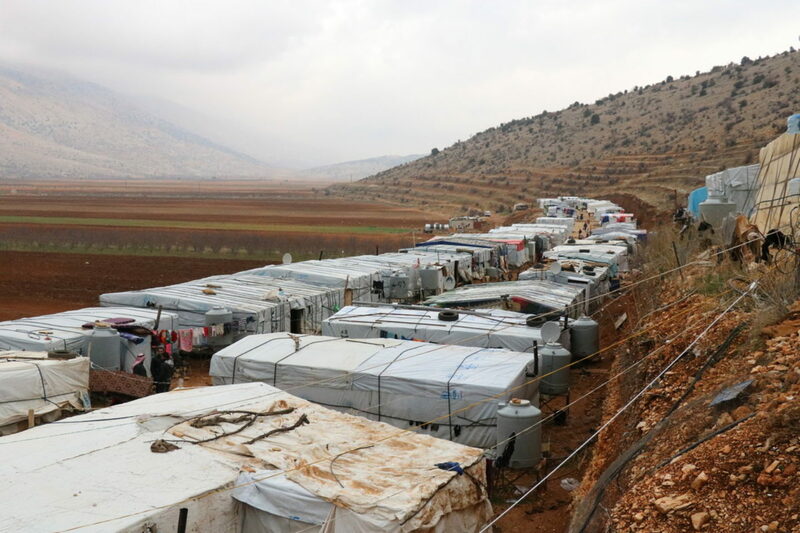 Dozens of refugee families from Syria were sleeping peacefully in their tents at the base of a mountain in Lebanon’s Bekaa Valley. Then the shouting began. The fire spread quickly from tent to tent. Two hundred Syrians woke in fear and fled into the night. Two people perished in the flames, aged six and 49. And nearly half of the settlement’s 60 tents burned to the ground. Ali, 9, Karima’s youngest son: “I will miss my books,” he said. By 9:00 a.m., Medair’s emergency response team had arrived to provide help. 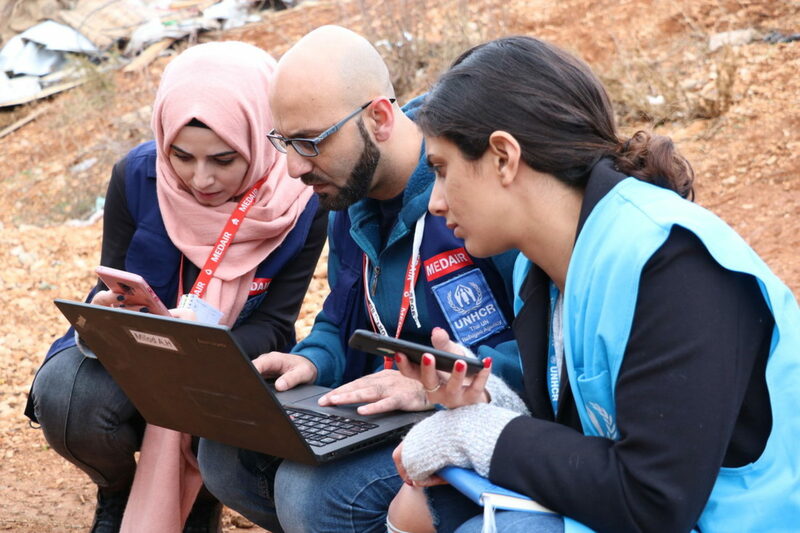 Together with the UN Refugee Agency, our team spoke with community members, listened to their stories and their worries, and assured them we would help them get back on their feet. First and foremost, we made sure every person had a dry and warm place to stay for the night. 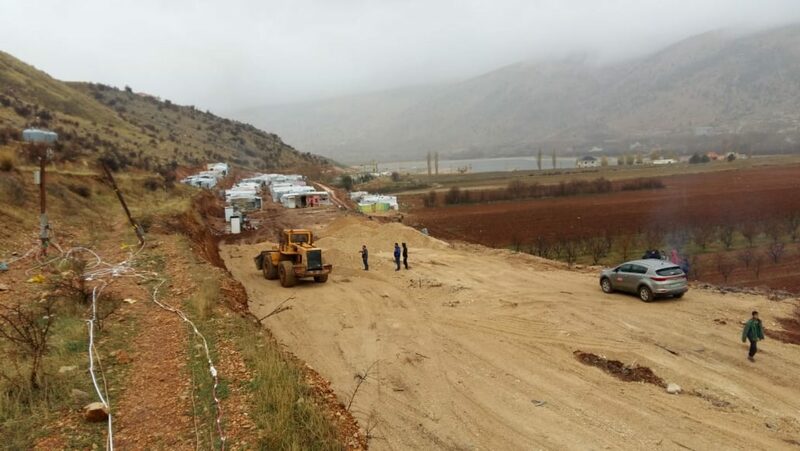 We helped clear away the debris, while some of the team planned the new settlement site, placing the tents, latrines, water tanks, and fire extinguishers in accordance with international shelter standards. 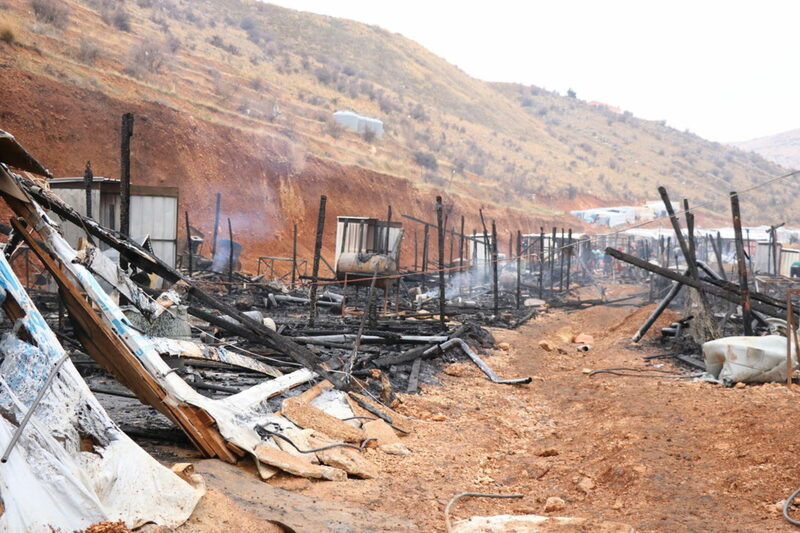 Fires like this are all too common in Lebanon’s informal refugee settlements. Tents are usually close together, electrical wires crisscross, and sometimes people use stoves to keep warm. For this reason, we provide fire extinguishers to settlements and train people on how to use them. On day two, we graveled the site and prepared it for reconstruction. On day three, we loaded trucks full of shelter supplies and traveled along the mountainside to reach the fire-affected families. Under rainfall, our team pinned the tent outlines into the ground and then distributed wood, tent sheets, mattresses, jerry cans, and kitchenware—all the materials needed to construct and provision the new shelters—to the families. Shelter kits were provided by the UN Refugee Agency. One week after the fire, we visited the settlement. This time it was bustling with energy; most of the new tents were up, others in progress, and children were running around and playing. The place had come back to life. Do you want to raise awareness about the Syrian crisis and the plight of refugees with your family or school classroom? Then try Medair’s Refugee Box. This card-based activity uses stories, videos and role-playing to help participants gain a deeper understanding of the lives and challenges of refugees. For more information, click here. 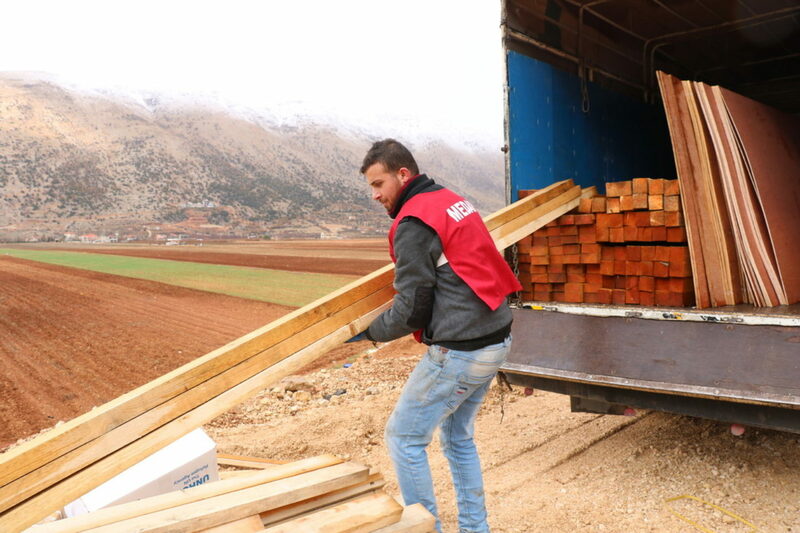 In December 2018, Medair’s emergency response team in Lebanon responded to three fire emergencies at settlements in the Bekaa Valley. Medair is the shelter co-lead in the Bekaa Shelter Working Group, and is a member of the National Shelter Sector Core Group. With funding from UNHCR, we are the lead agency for mapping all the informal settlements around the country. 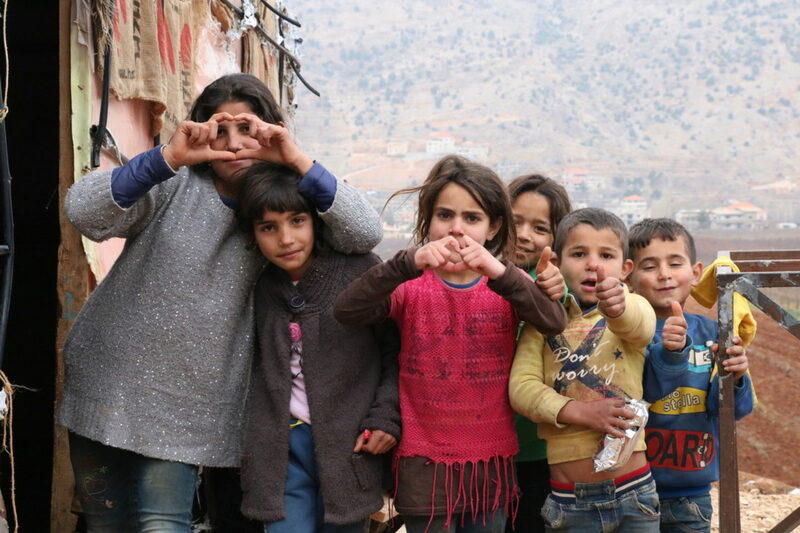 In the Bekaa Valley and Mount Lebanon, Medair provides shelter assistance to refugees living in informal settlements and unfinished buildings, and distributes shelter kits. Medair’s work in Lebanon is made possible by the generous support of: European Union’s Madad Fund, Global Affairs Canada, Lebanon Humanitarian Fund administered by UN Office of Humanitarian Affairs, Swiss Solidarity, UN High Commission for Refugees (UNHCR), and generous private donors. This content was produced with resources gathered by Medair field and global support office staff. 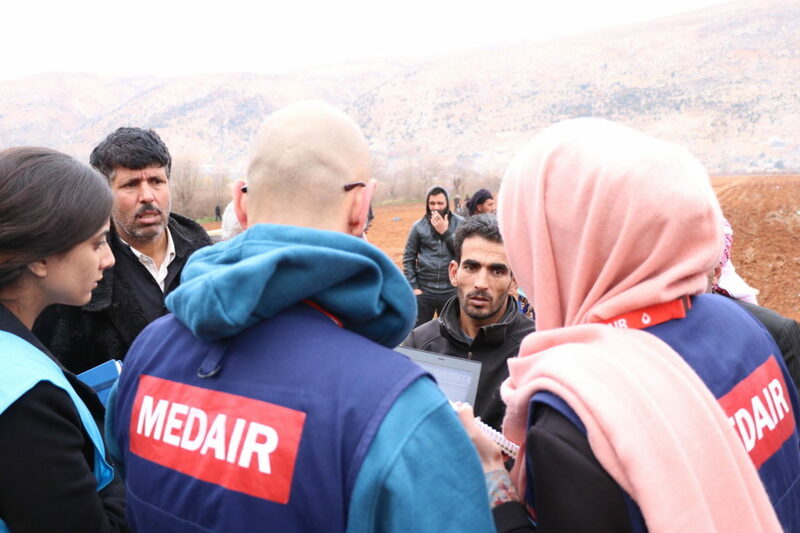 The views expressed herein are those solely of Medair and should not be taken, in any way, to reflect the official opinion of any other organization.